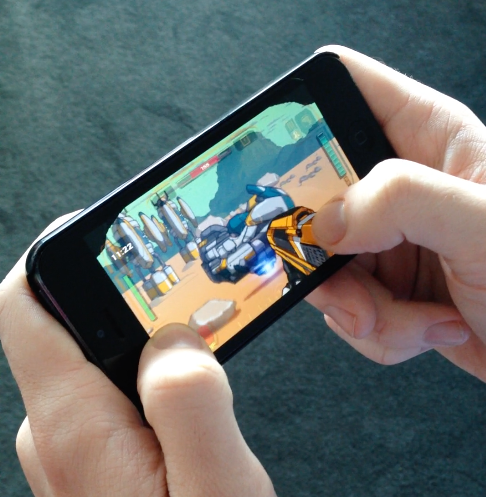 Rock Rock Rocket is an upcoming, pocket-sized, real-time, open world first-person shooter, created from the ground up for iPhone and iOS. Adventure awaits as a lone astronaut, an interstellar scientist and part of deep-space research team. When a routine job on an alien planet goes from bad to worse, players find themselves stranded in a world full of constant danger and endless discovery! – coupled with a 24 hour real-time clock where time in the game passes just as it does in the real world! 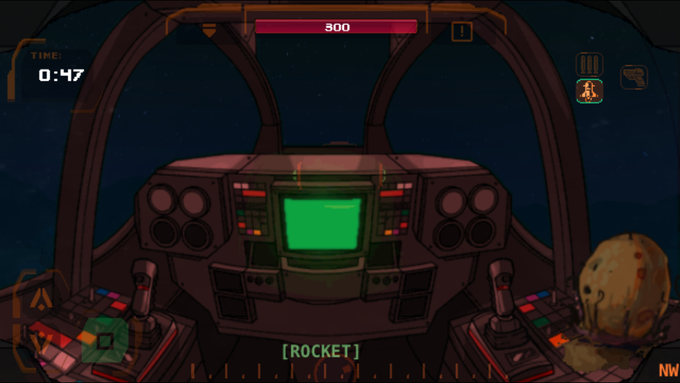 For example, if you are playing Rock Rock Rocket after work at 5:58pm, it’ll also be 5:58pm in the game, the planet’s sun will be setting, and new enemies and events are beginning to emerge under the cover of night. Or, 2 days after placing that weird space egg that you found in that weird space cave onto a shelf in your spaceship, you notice that it is now beginning to hatch! There will be some events and quests that span over a few real-time days, and the main plot of our hero will actually play out over the course of about a month. It’s Nintendo’s Animal Crossing, but with lasers! 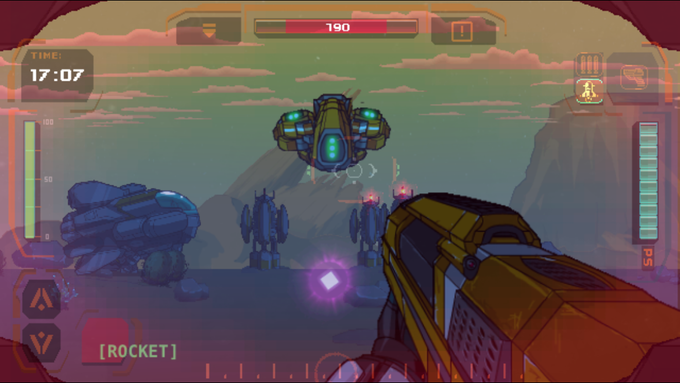 And it’s all experienced from within a stylised retro, first-person perspective, that harkens back to the 2d/3d hybrid DOS games of old, but, with shooting mechanics and gameplay reminiscent of contemporary classics like Metroid Prime, and the Halo series. Various Random Side events that pop up during each session. Complete Research Sample Collections: discover and catalogue alien wildlife, plants and minerals • A whole range of space creatures, and enemies, to find and fight.